← Are you a FOOL? How does the text view the role of mother? 20 The man called his wife Havah [life], because she was the mother of all living. This is just a snapshot of who a mother is in the text – how she is to be treated and how she is NOT to be treated. Honor our Father and Mother . . .
Maybe it would be a good thing to know what honor means biblically. 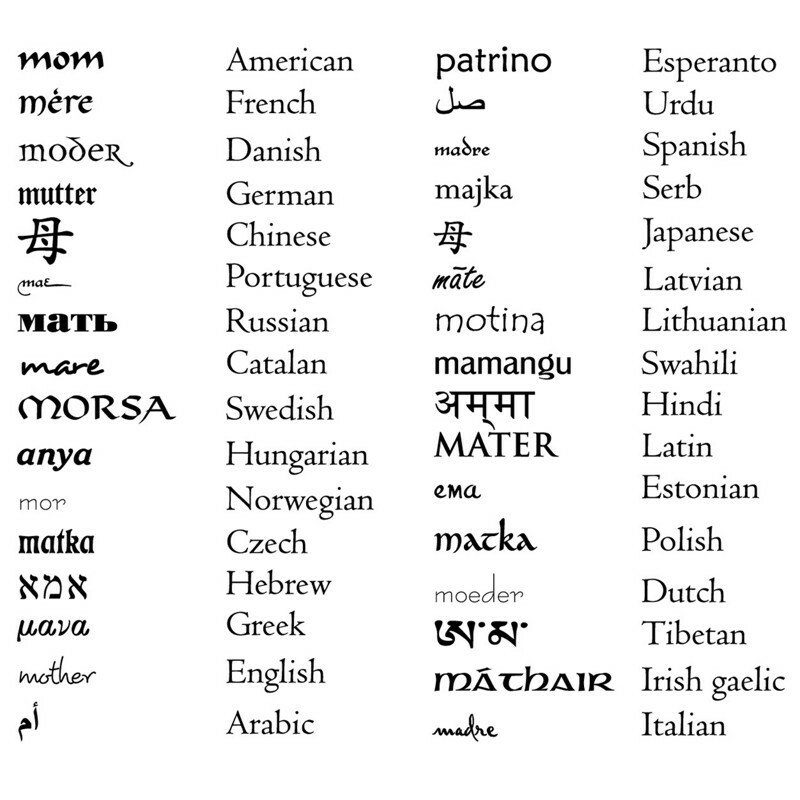 The Hebrew word is ‏כָּבֵד‎ kāvﬁdh. It means to honor, to glorify. Thoralf Gilbrant, ed., “3632,” in The Complete Biblical Library Hebrew-English Dictionary – Kaph-Mem, (Springfield, IL: World Library Press, Inc., 1998), WORDsearch CROSS e-book, Under: “3632”. To honor someone or something is to acknowledge and show respect for the authority or worthiness of the object of one’s honor. To show honor entails an affective side (a feeling of respect or reverence) and a set of outward manifestations, such as gestures (bowing before or being attentive) or actions (conferring titles or privileges). All these ways of showing honor elevate the person or thing that is honored. In addition to the primary meaning, honor is used in the Bible to name something possessed by certain people or things as an innate quality. Leland Ryken, James C. Wilhoit, Tremper Longman, ed., “Honor,” in Dictionary of Biblical Imagery, (Downer’s Grove, IL: InterVarsity Press, 1998), WORDsearch CROSS e-book, 398. 21 He who pursues righteousness and kindness finds life, prosperity and honor. 4 The reward for humility is fear of Adonai, along with wealth, honor and life. 23 The proud will be humbled, but the humble will be honored. 1 Children, what you should do in union with the Lord is obey your parents, for this is right. Exodus 20:12 (CJB) 12 ‏ה‎ 12 “Honor your father and mother, so that you may live long in the land which Adonai your God is giving you. Deuteronomy 5:16 (CJB) 16 ‏ה‎ 16 “‘Honor your father and mother, as Adonai your God ordered you to do, so that you will live long and have things go well with you in the land Adonai your God is giving you. Because this command embodies a promise, what is the expectation based on this promise if we do NOT obey this commandment? Kind of sobering, isn’t it? I guess this is why I feel so blessed that my grandson attends a Christian school instead of a public school. He learned this verse in Ephesians by heart at 6 years old. The opposite of this would be public school which teaches kids NOT to honor their parents – that their vies on creation are wrong – that their views on contraception are wrong – that their views on marriage are wrong . . . the list is very long. 17 “Why are you asking me about good? There is One who is good! Could the text be any more clear? Call your mothers! Honor them! Tell them how much you appreciate them! If you are not close, if you are estranged, call and ask your mother to forgive you. Doesn’t matter who was at fault. If you have treated you mother in the way the text commands us NOT to treat our mothers, repent (turn from those sins) and beg your mother’s forgiveness! Do what God would have you do so that you may live long in the land and have eternal life. The alternative is not very pretty. Honoring your mother is honoring God! Be humble, be kind, be righteous! Treat her as God treats her – she is a treasure from Him! Happy Mother’s Day Mom, and to all the mothers out there including my wife and daughters!!! This entry was posted in Living life Even if . . . and tagged Happy Mother's Day. Bookmark the permalink. 5 Responses to Happy MOTHER’S Day! Thank you my husband. I value this more than any gift. I love being the mother of your children! 🙂 I am a blessed man! Thank you my son….this is a very important message. I will also add to your message….even when our Savior was on the cross in pain and dying, He thought of His mother and honored her by making sure she would be taken care of. My son, you make me feel very honored. Thank you.